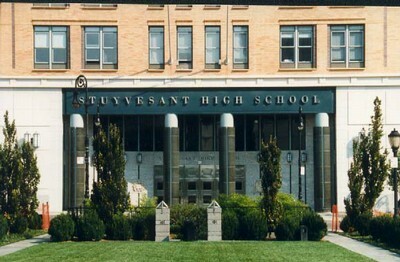 Stuyvesant High School in New York has set up CEO accounts for its entire senior class. Stuyvesant High School, the prestigious public high school in Manhattan, has adopted College Essay Organizer for use by all of its seniors - 786 of them to be exact. While many state and small local colleges have numerous essay requirements, the top colleges in the country typically require the greatest number of essays - after all, applicants to top schools typically have very similar GPA and SAT numbers and thus need something to distinguish themselves from the masses. The essays accomplish this goal. We've seen again and again that students seeking this kind of competitive edge use CEO to make the most of their valuable time, especially when they're trying to balance their SAT or ACT prep, college application forms, teacher recs, extracurricular activities, and homework ... oh, and be a happy teenager who can hang out with friends, too. Students are often surprised to learn that even if they use the Common App, there is typically a multitude of supplemental, program-specific, and scholarship essay questions, many of which are NOT found on the Common App. Only CEO can provide them for you in one place -- instantly! "I felt it was really important that I devote my time and energy to actually writing my essays as opposed to just trying to find and organize all the different questions and figure out which essays overlapped. The huge number of essays seemed overwhelming, but CEO whittled down the topics and gave me a clear plan. Planning in advance has always been so important to me. Without this amazing site, the time needed to complete the application process would have doubled or tripled." "Applying to selective colleges can be a formidable undertaking for even the best students, and I know well the importance of strong essays in gaining admission. CEO simplifies the essay process by allowing students to navigate the requirements for each college more efficiently, thus providing more time to focus on writing the best essays possible. I highly recommend CEO for all college-bound students." Have a look for yourself to see why the best and the brightest are taking advantage of CEO. Click here to check for FREE how many essays your colleges require and how CEO can deliver them all to you instantly.